Congratulations to tour winner Kim H. and to host winner Brunette and Fabulous. 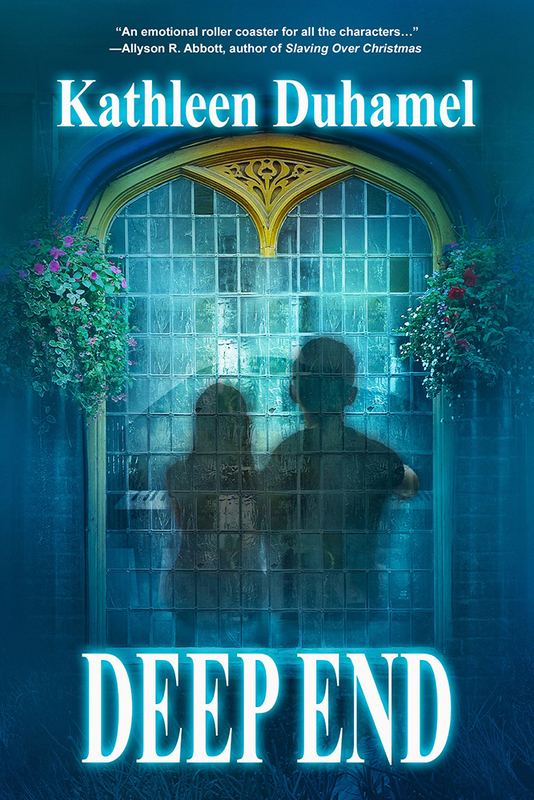 Goddess Fish Promotions is organizing a Virtual Name Before the Masses Tour for Deep End by Kathleen Duhamel, a Contemporary Women's Fiction available December 5 from Imajin Books. The tour will run every Wednesday for 8 weeks starting on December 20, and Kathleen Duhamel is available for guest post and interviews. A PDF copy of the book is available for review in conjunction with a guest post or interview. Kathleen Duhamel will be awarding a $25 Amazon/BN GC to a randomly drawn winner via rafflecopter during the tour, and a $15 Amazon/BN GC to a randomly drawn host. After years of struggle and harsh criticism, happily married rock star wife Claire Martin has finally achieved the career success of her dreams. As the featured artist in an international traveling exhibit, she looks forward to her best year ever, while her husband, singer Robert Silver of the legendary band Deep Blue, contemplates a return to touring. Things are also looking up for Claire’s best friend, Denise Hrivnak, who’s planning her wedding to Robert’s musical partner, Art Hoffman. However, what should have been most joyful day of Denise’s life turns to tragedy when an unexpected event forces both woman to contemplate the terrifying possibility of life without the men they love. Besieged by the paparazzi and sick with worry, Claire waits for answers in a Las Vegas hotel room, thinking over her improbable relationship with Rob and praying that love alone is strong enough to bring her beloved husband back from the brink. January 31: Archaeolibrarian - I Dig Good Books! I'd like to host on Jan 3 with an interview at reviews and interviews. thanks! Laurie's Thoughts and Reviews can host with an Interview or GP on Jan 10th. Thanks! The Reading Addict can host 1/17, guest post, please. Thank you! I would like to host on January 24 @The Avid Reader with an interview. I can host on Sharing Links and Wisdom on Feb. 7. BooksChatter can host 14 February with author interview. If there are any additional spots open I would love to host on Fabulous and Brunette - any date!! If selected, I would prefer a guest post spot - thank you! !